There is certain comfort opting for the tried and tested, but it cannot compare to the euphoric satisfaction of experiencing the less-trodden path. Although museums, beaches and parks are found readily throughout Austin, a journey along the sidelines, using one of the many Austin hotels as a base, can reveal surprising city delights. Check out these top 10 reasons to visit Austin. The Live Music Hub of the World will not disappoint when putting on a great show. Head to ACL Live, Stubb’s and Mohawk to feel the city’s pulse. 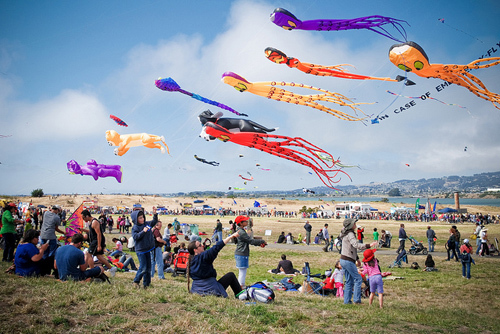 The Zilker Kite Festival is held annually on the first Sunday of March. Save your pennies, and stay at your choice of affordable hotels in Austin. Another not-to-be-missed festival is the Austin Chronicle Hot Sauce Festival, held during tomato and pepper season, which produces over 350 varieties of salsa for public consumption. Book your stay at a plush downtown hotel like The Driskill, and create memories to last a lifetime. Round up the kids for “Eeyore’s Birthday,” an annual festival held at the end of April. Dress the part, and enjoy a fun-filled day of food, drink and live music. Head to the Baylor Street Art Wall, which is an ever-changing public canvas for the city’s upcoming graffiti talent. Food feeds the body and soul. What better way to satisfy your desires than with the Austin Eats Food Tour, which trails many unique food trailers across the city. The Austin Brew Bus is a specialty tour targeting local breweries including Hops and Grain Brewing, and Jester King. Sleep off your hangover at Wyndham Garden Hotel Austin. Beat the summer heat, and cool off at the Hamilton Pool Preserve, which comprises a limestone cave, a natural swimming pool and a 50-foot waterfall. Afterward, head back to a romantic hotel like Travaasa Austin. Kayak down Lady Bird Lake at dusk, and witness the flight, from beneath the Congress Bridge, of the 1.5 million bats that inhabit the city. 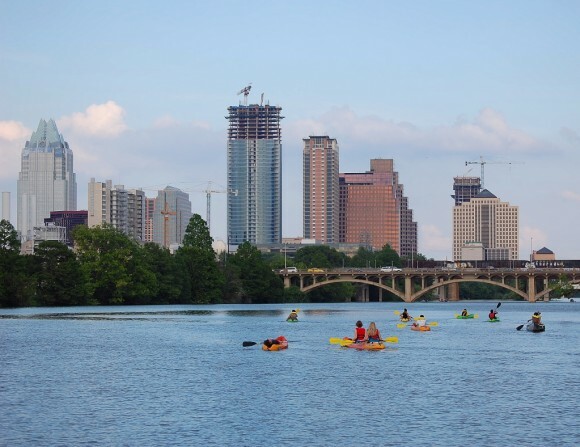 For a unique way to get to downtown and back while enjoying the beautiful city views, opt for River Tubing with local operators like ATXcursions. This list would not be complete without mentioning Longhorn Caverns, an ethereal limestone-based natural wonder created over many decades; it is the perfect setting for a romantic outing. Mark your calendars, and keep this Texas Hill Country at the top of your list. As a watering hole for the wild and wacky, with a wholehearted embrace of myriad cultures, Austin is the answer to all your travel dreams.